Need A Phone While in Australia? The SIM card includes 14GB of data which is good for 30 days. You cannot add additional data to your plan. Having said that, 14GB is more than enough data for 99 percent of all travelers. After 30 days, you can purchase an additional 30 day bundle in order to renew your service. *PLUS the price of (1) initial SIM card for $69.95. The SIM card is what gives you the service. Whether you are headed to Adelaide, Brisbane, Cairns, Melbourne, Perth, Sydney, Canterbury, Queensland, or Victoria or virtually anywhere else in Australia; a cell phone rental from Cellular Abroad will help you keep in touch all over the country without having to worry about cost. The rental includes unlimited calling and texts within Australia and unlimited calling to the United States and Canada. For travelers wanting to have access to the web, there is also 14GB of data included in the service. This is a perfect solution for travelers who want to check their emails, use Google Maps, browse the web and more. 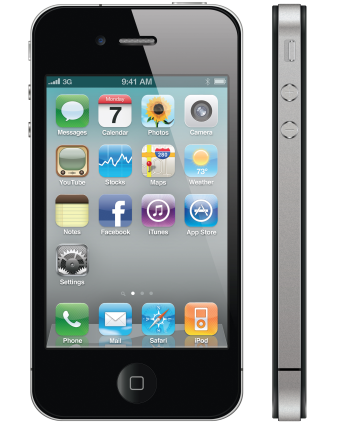 Please note that only the Deluxe and iPhone Rentals have 3G capability which is essential for data. The Standard Rental is ideal for travelers who only need to make and receive phone calls. The Smartphone Rental is an Android handset and is an affordable option for travelers needing voice and data. The iPhone Rental is another option for those who need to access the web and use apps such as WhatsApp, Viber, Skype and more. All cell phone rentals include an Australian phone number. You can also add a US phone number to make it convenient for callers from the US to call you and/or you can forward your current US number to the one we provide. This feature is just $19 and includes 146 minutes of incoming calls. You can add this feature through the shopping cart or with your sales rep. If you need to text to the US or Canada, add a recharge voucher for $29. This will give you 60 outgoing text messages. Incoming texts are free. How Do Cellular Abroad Rates For Australia Compare To Your Current Carrier? *Cellular Abroad's rates are all inclusive. Other network pricing excludes tax, approximately 20% of value. In addition, our solution is not a roaming solution and therefore is more reliable and faster. Your phone comes charged and with an Australian SIM card, plug adapters, a charger and a return shipping label. Just add credit for international texting and/or the US Number Plan once you enter your dates and add to cart. Please note that the service is valid for 30 days. If your rental is more than 30 days, please contact us at 1.800.287.5072. Your cell phone rental includes unlimited calling and texting within Australia for 30 days from the moment you arrive in Australia and power on the phone and unlimited calling to the USA and Canada. While all incoming text messages are free, if you want to send and international text, you will need to add an international text package to your rental. In addition, if you rent a Deluxe Rental or an iPhone, your rental will include 14GB of data services at 3G speeds. Each additional 30 days of service; unlimited calling and texting in AUS, unlimited calling back to the US/Canada plus 14GB of high speed data. Renting a cell phone for your trip to Australia is quick and easy. First, determine which handset you want. Then, decide if you want any add-ons (International text messaging or the US number) You can order online or speak to one of our expert advisors at 1-800-287-5072 and they can place the order for you. Time permitting, we deliver the Phone Rental 2 business days prior to you departure using USPS or FedEx. We can deliver the following day (except Sunday) for those with immediate departures. You will receive a fully charged Rental Phone, complete with a convenient travel pouch, an international charger and plug adapter and simple instructions. If you have any questions, please call us or email us. Included in your rental package, you will receive instructions for the activation. You will need to email the name of the user, their date of birth and passport number. We will send you a prepaid label with your package. Please retain it and, upon return from your trip, drop it off at FedEx or USPS (as per instructions) within 2 business days from the last day of your rental period. Cellular Abroad will charge late fees if the return shipping date is later than 2 business days from the last day of your rental period. For more information, see Cellular Abroad's full Terms & Conditions. Currently, Lebara Australia SIM cards do not roam in other countries. If you are planning on using your service outside of Australia, we recommend the National Geographic Travel SIM Card. You will have unlimited calling and texting within Australia and unlimited calling to the USA and Canada. If you order at least 2 weeks in advance, round-trip Ground shipping is only $12.88. If you are leaving soon, we offer round-trip 2-day Express for $29.96, or Overnight Express for $39.96. Rentals will arrive 2 business days prior to your set departure date unless next day delivery is required. Yes it does, but it's always best to test the battery and charge the phone before your departure. That depends on the international long distance rates charged by their Long Distance Company or international calling card. A great option to alleviate this is to add on the US number, which allows dialers from the US to reach you as a local call.